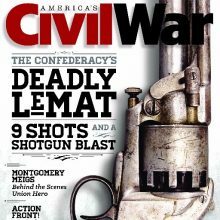 Published since 1987, America’s Civil War strives to deliver to our readers the best articles on the most formative and tumultuous period of American history — the Civil War. Noted authors present the many battles, personalities and fascinating stories of the period. 6 issues per year, published bimonthly. Have something compelling to say? Looking to get published? Let us know! HistoryNet is the world’s largest history publisher and an ideal place for aspiring journalists and history enthusiasts to get published. Submit a page outlining the subject and your approach to it, and why you believe this would be an important article for the magazine by email tosubmissions@historynet.com.